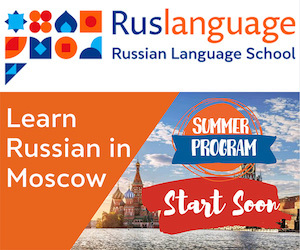 This free Russian language course was developed for beginning students of Russian. It consists of lessons that cover all the basics and lay foundation for your future studies. A 25-lesson course of Russian for beginners prepared by RussiaToday news agency. 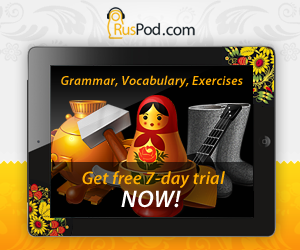 Study Russian phonetics, grammar, basic vocabulary, and more. A course for travelers who want to communicate in Russian quickly but do not intend to delve deeper into the language. A serious website by Robert Beard. Includes chapters on the Russian verb, noun, adjective, pronoun and more. Interactive units about Russian female politicians, writers and singers to help your learn the Russian language and culture. Listening activities available. This site requires free registration to use the modules. These interactive learning modules on the language of business introduce you to Russian alphabet and some basic rules of grammar. This site requires free registration to use the modules. Interactive activities to learn new vocabulary and practice spelling. Final quiz will test your mastery of new words. These very helpful interactive lessons allow to watch films, read scripts and study glossary for each scene.